Modern conveniences are absolutely amazing! If you think back to 75 years ago and think about all of the technological progress that has been made it is astounding. Technology makes our lives so much easier. Sometimes we forget to be grateful for it until something stops working and we realize just how much we relied on it. Your garage door is one of those things that are easy to take for granted. 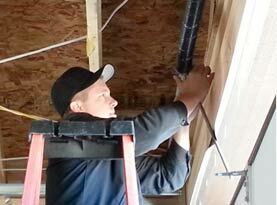 If you have had problems with your garage door you may a newfound appreciation for it once you got it working again. United Garage Door Service of Henderson has compiled a list of the most common garage door opener issues that homeowners have. One of the most common problems that we are called for is garage door remotes not working properly. This can be for a number of different reasons. The first thing that you should do is check to see if the battery in the remote is dead. We have seen more than one embarrassed homeowner that called us out simply to find that the battery just needed to be replaced. You may also need to simply be closer to the door before trying to use the remote. Too much distance makes it so that your remote will not work. Sometimes the garage door remote has not been properly installed and connected.. If this is the case you can fix it by looking in your garage door manual. Other times the connection is not good between the remote and the actual unit. Wiring may have gotten loose or something simple may have got knocked out of place. We can come and take a look at it for your and get everything working properly again. Modern garage doors are equipped with sensors that help detect if anything is in the way when the garage door is being closed. If there is something in the way the sensor will not allow the garage door to close all the way. This ensures that your garage door does not close on top of someone or something and cause serious injury or damage to property. The sensors can be become misaligned. If the sensors are not matched up your garage door will not shut properly. This can also happen is the sensors are not clean. You can carefully clean the sensors. You will want to take extra care that you do not scratch or damage the lens. You can use a level to try and try to get your sensors aligned. If you cannot get them aligned yourself you may want to consult a professional. 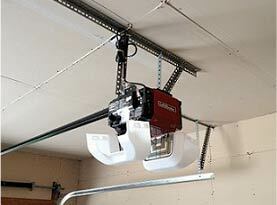 If your garage door opener has damaged or rusted rollers your garage door may not close or open all the way. Taking the time to lubricate the rollers may help solve this problem. It may just be time to replace your rollers. 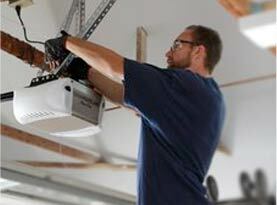 United Garage Door Service of Henderson can come out and replace them for you. 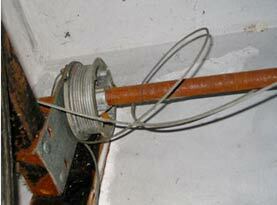 Your garage door track can be another area that can cause problems with your garage door. Sometimes you can see bends in the rails when you carefully inspect them. You will want to get these fixed right away before the weight of the door causes the issue to become even worse. Springs can snap after extended periods of time. Normally if your spring snaps you will hear a loud bang if you are inside your garage. Sometimes people will think a firecracker or gunshot went off inside their garage door. There are thousands of injuries each year from homeowners who attempt to replace their garage door springs. We strongly recommend calling a professional for repair. If you are having any of these problems with your garage door please give United Garage Door Service of Henderson a call. We would be happy to come out and take a look at your garage door opener and fix any problems that you are having. We also recommend having maintenance yearly for your garage door. Some problems with your garage door can be fixed when the problem is still relatively small. Fixing problems before they injure someone or something can save you a lot of heartache and money. Contact us to schedule an appointment today!